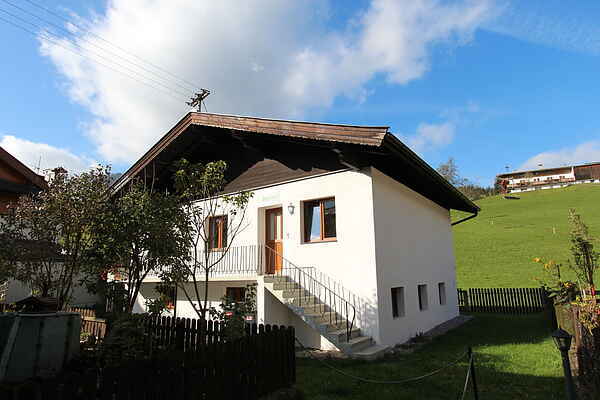 On a wonderful location, just outside the centre of Kirchberg, you will find this comfortable holiday home. The detached house is for sole occupancy, privacy guaranteed! The interior is completely new, you have at your disposal no less than six bedrooms, three new bathrooms a very cosy living room with a lounge couch, a separate dining room and a modern, fully equipped kitchen including an oven, microwave, coffee maker, electric kettle and a dishwasher. The house is surrounded by a lovely, enclosed garden with garden furniture. You can also enjoy a nice terrace, blessed with a magnificent view of the surrounding mountains. When you are looking for privacy, peace and quiet and a holiday home close to the centre, this is the definitely the place for you! Specifics: This detached house is situated on a quiet spot. You will find a car park at approx. 10 meter from the house. In this holiday home smoking is not allowed.